as an introvert, i can only say: yes, exactly! Another introvert here… you simply MUST make this one available for sale! Not to be too demanding, but I need this one on a t-shirt now. It’s perfect. 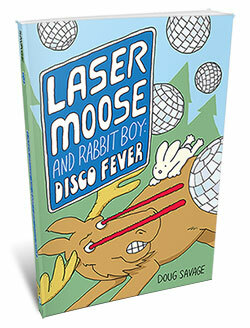 shouldn’t it be extrovert/introvert, or maybe extravert/intervert if you’re looking to get inventive? 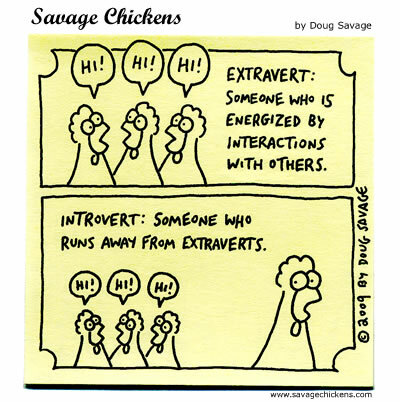 Ditto, keep those yapping extroverts away! Dude, it’s spelled extrOvert. Otherwise, great sticky as always. Hehe, just like my lot of friends. And as the only extroverted party-loving astrophysics student I know, I say to the introverts: Join us! Great definition-you nailed it. She says and runs away. Only an extravert would try to correct a cartoon and get it wrong. extreme introverts like to hide. The only question is: how does one run away from one’s self? There are days when I think I’m extroverted, and days when I am definitely introverted! WHO WANTS TO PLAY SOME FRISBEE!!! i don’t mind extroverts for the most part, they do most of the useless talking for me!